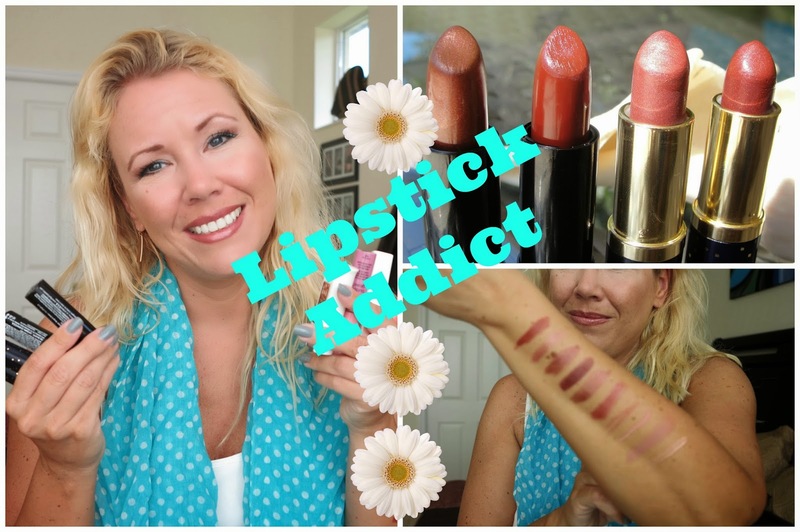 Today I am bringing you the Lipstick Addict Tag- this is actually a YouTube Tag but I thought this is a really fun tag to bring into the blogger world also! Let´s get right away started with the questions! I am really loving my Lip Balms from EPIC BLEND! They have very unique flavors, are super moisturizing and are cruelty free! My favorites are Banana, and Pineapple Mint! The only down site: I am missing some SPF here! I am not really big in wearing red lips, so the Nyx round lipstick in "Very Berry" is as far of a red as I would go! My luxury pick are the Estee Lauder Pure Color lipsticks. They are super pigmented, long lasting and moisturizing. I will not repurchase these though because they are not cruelty free. My drugstore pick goes to the Nyx round lipsticks. Honestly: these are even more pigmented, go on so smooth- I would say they easily are even better then the Estee Lauder lipsticks- plus: cruelty free and so much cheaper! Nyx lipsticks are even better then Estee Lauder lipsticks! Lol! I do not own one single Mac lipstick! The only Mac thing I have ever tried is the Mac Zoom Lash Mascara which I really could not stand. Mac is not cruelty free so I am not gonna even bother to try! I really disliked the Estee Lauder Pure Color in "Nectarine". The color did not suit me at all and it felt also very dry on my lips! I gave this one to my mother in law but I think she does not love the color either as I have never seen her wearing it- lol. Me with Estee Lauder Pure Color in Nectarine- dislike! Yes! I do love liner- although I am not wearing it on a daily basis. If the lipstick has a bit more color or is darker I think a liner helps to keep it in place. My new love is my lip liner from Pürminerals because it has this little brush on one site which I really like to apply my lipsticks. I find it makes my lipstick hold so much longer. The color "Pink Gypsum" is like my own lip color- just a bit darker and so I can use this easily for most of my lipsticks. I used to be a "Loreal girl" and loved my "Infallible glosses". But because I am switching to cruelty free products I am happy to announce: The Nyx Butter glosses are even better! They taste so yummy and are not sticky at all! My new favorite lip glosses for sure and cruelty free- and even cheaper then the Loreal ones- lol. I also wanted to give a shout out to the Flower line from Drew Barrymore (unfortunately only available at Walmart). The Flower line has a nice selection of lipsticks and glosses. The gloss has the same non sticky feeling then the Nyx Butter glosses- but they taste neutral. The packaging is also very pretty! You can watch me also on YouTube if you like! How about you? Ever tried some of my lipsticks? Love them or hate them? Let me know!